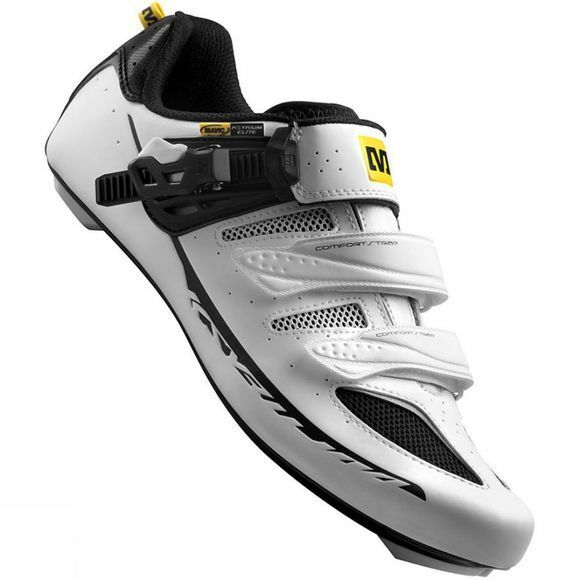 The Mavic Ksyrium Elite Road shoe is a performance road shoe for the everyday road cyclist. Excellent comfort thanks to the Endofitâ„¢ Tongue and Ergo Ratchet system which hugs the foot in just the right places for maximum comfort. The Ksyrium Elite shoe has a light and stiff sole designed for maximum energy transfer.